Mario Andretti claimed 109 major career victories along with countless other ‘lesser’ wins. Alongside Dan Gurney, he was the only man ever to win in Formula 1, IndyCar, sportscars and NASCAR. This charismatic Istria-born American won an astonishing 52 IndyCar races spanning four decades. Throw in the 1978 F1 title, three Sebring 12 Hours victories (1967, 1970, 1972), 1967 Daytona 500 honours, the 1974 USAC dirt track title and countless other gongs and there was little missing from his bulging resume. The only big win that eluded him was the 24 Hour of Le Mans. AutoFact: Andretti's final appearance at Le Mans was in 2000. He was 60-years-old. Few drivers ever excelled in as many different disciplines as ‘Super Tex’. His four Indy 500 victories are just the tip of the iceberg and his tally of 67 IndyCar wins remains unbroken. In stock cars Foyt won the 1972 Daytona 500, and in sportscars he bagged honours in the 1967 Le Mans driving alongside Dan Gurney. Foyt also took outright wins in the 1983 and ’85 Daytona 24 Hours. He was installed in the winning Porsche in ’83 after his Nimrod broke early and was at his hotel when he got the call to return to the track and bring his helmet. AutoFact: Foyt's last big win was the 1985 Sebring 12 Hours. He was 50 years-old. This likable Frenchman was a prolific winner before he ever ventured trackside in anger. Larrousse won a national rally title for Alpine before starring with Porsche. Early wins included the 1969 Tour de Corse and the runner-up spot on the Monte Carlo rally three times (1969-70, 1972). In sportscars, he won the 1971 Sebring 12 Hours alongside Vic Elford in a Porsche 917K, and that year’s Nürburgring 1000km in a Porsche 908/2 (also alongside ‘Quick Vic’). In single-seaters, he was a winner in Formula 2 and briefly stepped up to F1 in 1974 before winding down his career to concentrate on team management. AutoFact: He managed the Renault and Ligier F1 teams before starting his own squad. An established navigator before he became a star wheelman, Elford became European Rally Champion in 1967 aboard a factory Porsche 911. A year later, he won the Monte Carlo rally for the German marque, barely a week before he triumphed in the Daytona 24 Hours. Elford also performed miracles to win the 1968 Targa Florio following a first-lap tyre failure and made his grand prix debut in France during the same season, finishing fourth for Cooper. While his F1 career never quite came together, he won in everything from rallycross to saloon cars into the 1970s to further cement his legendary status. AutoFact: Elford also won in Trans-Am and dabbled in NASCAR. He famously never won the Formula 1 world championship, but Moss is justifiably considered among the most gifted men ever to sit in a grand prix car. That would be sufficient to ensure his ranking as a superstar, but then you factor in all his successes. He excelled in sports cars, his 1955 Mille Miglia win alongside Denis Jenkinson has long since entered into legend, but Moss also bagged three consecutive Nürburgring 1000km wins (1958-60). In rallying, he took three penalty-free runs on the Alpine classic, and placed second on the 1952 Monte Carlo Rally. 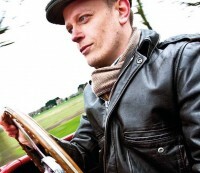 AutoFact: He was the narrator for Rory the Racing Car. His tally of nine consecutive World Rally Championship titles and 78 career wins isn’t likely to be eclipsed in a hurry, but there was more to this exceptional Frenchman than ‘just’ rallying. The former gymnast has also claimed wins in the World Touring Car Championship and FIA GTs, not to mention placing second overall in the 2006 Le Mans 24 Hours for the Pescarolo squad. Throw in fastest time at the Pikes Peak International Hill Climb in 2013 and second place on the 2017 Dakar Rally, and there are few categories which he hasn’t mastered. In more recent years he's now a winner in World Rallycross too. Approaching middle age when he first began racing in Europe, this charismatic Argentinean was already a legend at home. This was in no small part to his successes in grueling long-distance road races in which he became a national champion. In single-seaters, he claimed five Formula 1 titles (his last aged 47), with a strike rate of 24 points-paying wins from just 52 starts. In sportscars, he won the Carrera Panamericana in 1953 in a works Lancia D24, and the 1957 Sebring 12 Hours alongside Jean Behra. He remains near the top of any greatest ever driver list, and with good reason. AutoFact: He remains the only Argentine ever to win the Argentinean Grand Prix. ‘Handsome Dan’ was a hot rodder before finding success in Sports Car Club of America circuit races. His press-on driving style attracted the attention of Ferrari’s US concessionaire Luigi Chinetti who arranged for him to drive in the 1958 Le Mans with Scuderia Ferrari. Gurney would go on to be a front runner in F1, but his tally of four victories from 86 starts belies his standing. His final win at this level was the 1967 Belgian Grand Prix in his own Eagle-Weslake. Gurney also won that year’s Le Mans and triumphed in IndyCar, Can-Am and NASCAR. AutoFact: As a team owner, Gurney claimed 78 major wins from the late 1960s to the early ’90s. Brilliant on ovals, this toughest of tough nuts won the 1963 Indy 500 and came within three laps of repeating victory in 1967, only to retire his STP-Paxton turbine car after a ‘six-dollar transmission bearing’ failed. This American racing deity also excelled when competing with a roof over his head, claiming consecutive USAC Stock Car titles (1960-62) prior to becoming a front runner in Trans-Am. Heading off-piste, he won the 1963 International Pikes Peak Hill Climb and later the Mexican 1000 off-road race (twice) in addition to the Baja 400 and Mint 500. AutoFact: As a team owner, Vel’s Parnelli Racing claimed 1970-71 Indy 500 victories. This much-missed British star can arguably claim to be the greatest-ever all-rounder in the history of motorsport by dint of being the only man ever to win world championships on two and four-wheels. A seven-time champion as a motorcycle racer, he finished second in the 1960 British Grand Prix – his second ever points-paying F1 start – and was crowned 1964 world champion driving for Scuderia Ferrari. In sports cars, he also won big in red cars in addition to taking the inaugural Can-Am crown in 1966 aboard a Lola T70. Sadly, his time as a team owner wasn’t so successful. AutoFact: Team Surtees never won a grand prix, but it did take the 1972 F2 title.